The urbanisations of Elviria and El Rosario are located a short distance from the N340 dual carriageway, within easy reach of Marbella. Malaga Airport is located 30-45 minutes via the N340 coastal road or alternatively via the AP7 toll road. Due to their strategic location for Marbella, the beaches on the Costa del Sol and all the amenities nearby, yet being surrounded by countryside, both Elviria and El Rosario have proven to be highly popular locations for foreign investors looking for a holiday let or a home in Andalucia. El Rosario’s architecture varies from one side of the road to the other. While a high proportion of beachside properties are apartments, across the road and away from the Santa Clara Golf Club you will find mainly villas with large gardens. Elviria features a number of villas but the higher up the hill you go, the more apartment complexes you will come across. Of the two urbanisations, El Rosario has more amenities on site including a popular beach and Santa Clara Golf Club, a par 71 18 hole course designed by Enrique Canales Busquets and inaugurated in 2001. The course is set against a backdrop of beautiful scenery close to the sea, and has a fantastic club house. There is also the El Casco Tennis Club including the Ivy Restaurant offering an excellent choice of international cuisine in a very pleasant environment. 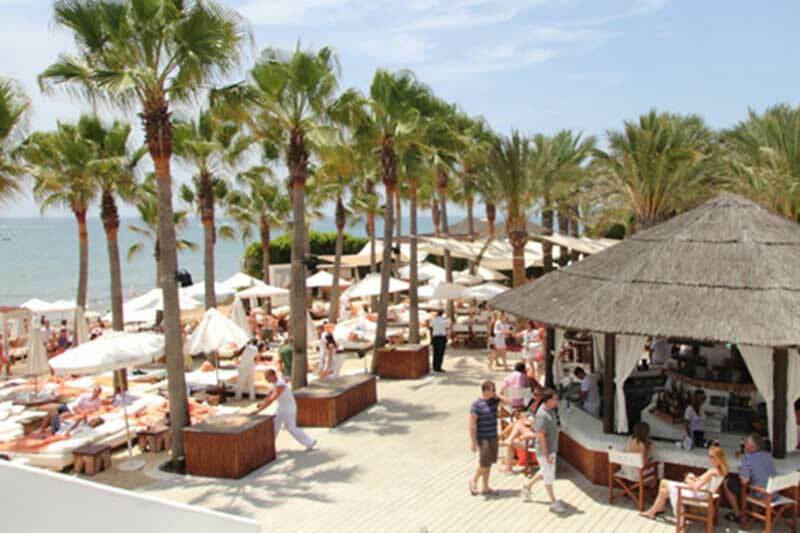 The El Casco area has a range of shops and basic amenities, with the famous Los Monteros 5 star hotel not far away.